Retention is becoming one of the most pressing concerns of employers worldwide. 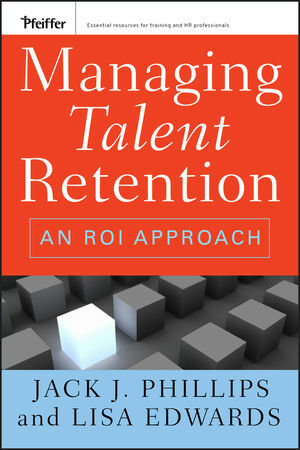 This book provides an overview of talent retention and defines retention and turnover in very specific measures. It explores the full impact of talent departure and most important it offers proven solutions to talent retention. The book clearly shows how to forecast the ROI of talent retention solutions and how to capture the actual ROI after the solution was implemented. This is a practical book providing an ROI approach to HR managers and practitioners. JACK J.PHILLIPS is chairman of the ROI Institute. A seasoned HR veteran, Phillips has served as a senior HR executive in two Fortune 500 companies and in top executive roles, including president of a regional bank. A prolific writer, Phillips is the author or editor of more than 50 books and more than 200 articles. LISA EDWARDS serves as director, Global Learning and Development, at Corbis (www.Corbis.com) where she is responsible for developing Corbis' managers and leaders across sixteen countries.